Su Fei grows up from a family with musical talent. She is a blessed and happy girl with a positive personality and no scheming thoughts. 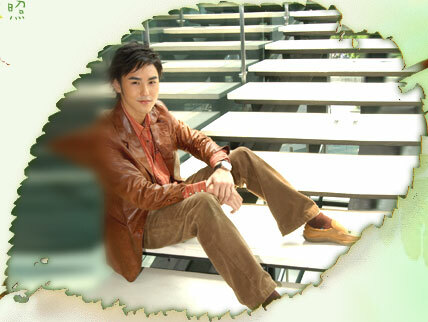 Luo Shan grows up in Su Fei's family. Her father is the Su family's driver. Her mother ran away from home when Luo Shan was young and there has been no information from her since. Luo Shan is envious of Su Fei and hopes that one day she can become the type of person that Su Fei is. Luo Shan's father passed away because he was driving under the influence of alcohol and there has been no information on Luo Shan's mother ever since she ran away when Luo Shan was young. As a result, Su Fei's parents adopted Luo Shan and changed her name to Su Shan and became Su Fei's sister. Growing up as a driver's daughter and thinking of herself as a "low class person" has caused Su Shan to feel inferior. As a result, Su Shan has always had a wish. She wished that she can become someone like Su Fei because she always believed that as long as she can become Su Fei, then she would definitely be happy. Under this type of a psychological shadow, Su Shan fosters the behavior that as long as Su Fei has it, then she must have it too. From childhood to adult, this is the way that Su Shan treats Su Fei. Su Fei knows but she continues to remember the words of her mother to regard Su Shan as her real sister and not to tell anyone that Su Shan is an adopted child. Moreover, Su Fei believes that Su Shan must be like this because of her background and as a result, she didn't haggle over the matter with Su Shan. Su Shan and Su Fei along with Yuan Fang, who grew up together with them, were originally going to study at Green Light Forest - a school with no walls - Green Light Elementary School. However, because they had to move homes, they must leave Green Light Elementary School and go to study at Spencer Royal School of Music. Su Fei, who loves her independence, was very unwilling but she still had to go to a school enclosed with high walls - Spencer Royal School of Music. Within the strict Spencer Music School, there is one rule: those who forget to bring their textbooks would receive a beating on their palms. One day, the founder of Spencer Royal School of Music's son, William, arrives from Austria to listen in on a class. Su Fei, who didn't know of William's identity, mistakenly thinks that he forgot to bring his textbook and lent her textbook to him. Because of this, she was punished for not bringing her textbook. William couldn't bear to see Su Fei receive a beating on her palm because of trying to help him and pulling on Su Fei, ran out of the classroom with her. They both skipped class and both got lost inside Green Light Forest. However, it is because they got lost that they saw the legendary green light. Inside the green light, an old grandmother in the forest told William, after he grows up, he would meet a girl that he will love very deeply. He must trust her, otherwise, this girl will lose everything because of him and maybe even lose her life. The old grandmother also told William and Su Fei that in the world of love, time stands still. William and Su Fei listens attentively and this speech seems to be deeply engraved in both of their small minds. William takes out the Spencer family crest and gave it to Su Fei. 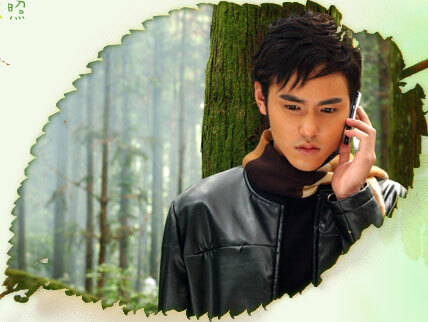 He tells Su Fei that he will protect her forever. This is the promise that he makes to Su Fei and Su Fei firmly remembers this promise in her heart. 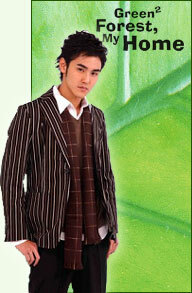 Su Fei asks William for his name and he tells her that he is William. The mischievous Su Fei, happily tells William that she is Prince William's princess and will not tell him her real name. William has to return to Austria. The day that he is to leave, he wants to return to Spencer Royal School of Music to say goodbye to the cute girl. However, on that same day, because Yuan Fang also has to leave the country to study music aboard, Su Fei was rushing to find Yuan Fang and missed seeing William. William, who is rushing to find Su Fei, arrives at Spencer's campus. He couldn't find Su Fei and runs into Su Shan in the hallway instead. Su Shan sees a special aura around William and remembers that she has to work hard to become a "high class person" so that she can break away from her low life shadow. In that brief moment, she lies to William and tells him that the girl that he is looking for is called Su Shan. He believed it to be true and thought that Su Fei's name is Su Shan. After they grew up, Su Shan becomes the artistic director at Spencer Royal School of Music and Su Fei, who returns from studying aboard at a separate Spencer school in Austria, wants to go and teach at Green Light Elementary School. And the young boy, Yuan Fang, has now become the famous international violinist, "Ou Wen." He gets invited by Spencer Royal School of Music to return to the country to hold a concert for the newly appointed CEO. The new CEO of Spencer Royal School of Music turns out to be William who returns to the country to take over the position of CEO after the founder of the school, who is also his father, passed away. William's return to the country, besides from taking over Spencer Royal School of Music, at the same time, he also wants to take this chance to find the girl from his childhood memories, "Su Shan." During Ou Wen's concert, William, Su Fei, Su Shan, Ou Wen, these four people meet. Ou Wen reunites with Su Fei, the girl that he has liked from his childhood and moreover hoped to be able to protect forever. 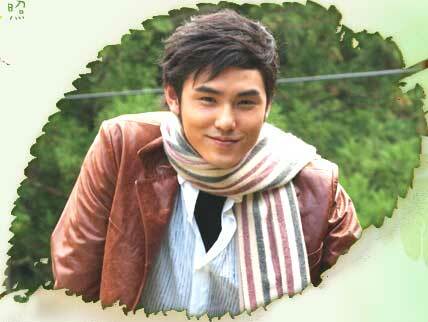 William is happy that he has found the girl from his childhood "Su Shan," and will be able to keep his promise to her. Su Fei, on the other hand, doesn't recognize that Ou Wen is her childhood friend or that Su Shan's boyfriend, William, is the Prince William that made a promise with her in the past. Because of William's mistake, Su Shan does not dare to acknowledge her own lie and becomes the "Su Shan" that is within William's heart. Even though the four of them have reunited, but their relationship is not as they had originally hoped or thought it would be. William, who just returned to the country to hold the position of CEO, is faced with the Spencer Board of Director's decision to close down Green Light Elementary School, the most special school within the Spencer Educational Foundation. Because William agrees with the teaching method and mentality of the principal of Green Light Elementary School and also to protect his most beloved memories from his childhood, he decided to stand out and protect Green Light. Yet he meets opposition in one of the most conservative directors on the board, Director Shang. In addition, Director Shang proposed that if Green Light Elementary School doesn't win the upcoming music competition, then they will close down Green Light Village's plantation. Spencer School of Music, led by Director Shang, and Green Light Elementary School, protected by William, no matter which side wins the competition, the loser will have to hand over the position that they uphold now. A gambling stake in the hands of destiny launches between Spencer Institute and Green Light Elementary School. Su Fei, who has deep feelings for Green Light Elementary School, in order to protect the Green Light villagers' lifestyle, their home, their land, and to keep her most important childhood memories, she took on the responsibility of making sure that Green Light Elementary School will win the music competition. 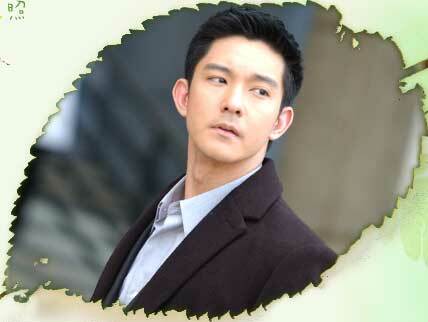 Ou Wen, who has had feelings for Su Fei since they were young, also joined hands with Su Fei to defend Green Light. They fought side-by-side for the purpose of keeping Green Light safe and sound just like the feelings and memories that they hold in their hearts which can never be erased. The music competition ended and Green Light Elementary School wins. Things become even more complicated for Su Shan, who continuously tries to protect her love and her happiness. Su Shan is on the verge of getting engaged with William. Under a state unknown to herself, Su Fei becomes the third party between Su Shan and William. Ou Wen, who is aware of the truth of the whole matter, even though he has deep feelings for Su Fei but seeing how William and Su Fei's distance grows further and further apart, he decided that he can no longer let William continue thinking that Su Shan is Su Fei. Ou Wen decides to come forward and tell Su Fei and William the truth that they are both the person that they have each been looking for and waiting for all this time. However, Su Fei chooses to not believe Ou Wen and misses the chance to reunite with William again. During a barbecue outing at Green Light Elementary School, Su Fei finally finds out that the CEO William that Su Shan is engaged to is the Prince William that she has been waiting for all these years. They finally recognize each other. Seeing how Su Fei seems to be able to get her happiness and the Prince and the Princess will be living in harmony, but they both don't know that there are even more difficulties that are waiting for them on the road ahead. Yet, no matter how the future will be, in William and Su Fei's hearts, there has always been a faith that have supported them and that is, as long as they believe, then they will see the happy green light! William has the lineage of 4 beautiful countries - German, English, Chinese and American in his blood. He grows up under a noble, rich and powerful family. In addition, his ancestors were very good at investing and have left behind a very big fortune. 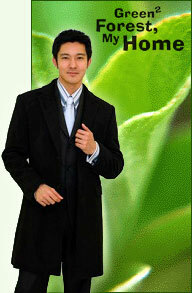 Since he was young, he has received the appropriate care and was educated in aristocrat schools and by private tutors. His conduct is elegant, manner is graceful, speaks finely, there is no doubt about his noble upbringing. He inherited his family's artistic and literary talents and has extraordinary achievements in both music and art. Because he is aware of his responsibilities towards his family and society, as a result, he does things with rational and caution. He expresses his feelings with control, taking everything into consideration. Yet, underneath, he is very stubborn towards love and has the spirit of both a knight and a gentleman. He completely trusts, empathizes and cares for his girlfriend. His mother is from Green Light Forest. His return to the country this time, besides from taking over the position of CEO at the Spencer Music Institute, taking care of the school affairs with Spencer Educational Institute, he is also bringing his mother, the Countess, back to reside at her native country in Green Light Forest. Aside from that, he also hopes to find the girl that he met in his childhood years. She comes from a loving family. As a child, she is well protected. Innocent, naÃ¯ve, kind-hearted. Because she is loved, therefore, she trusts people. The foolish quality in her personality does not disappear. She does not give up, shows enthusiasm in doing things and lives for her ideals. Her parents are musicians and frequently travels around the world performing. Their family has always been a wealthy middle class family with a generous fortune. The family is generous and well-mannered. Su Fei inherits all these good characteristics from her family and is good at forgiving others. Since she was young, Su Fei has had the artistic talent. In addition, her parents did not restrict her development. She possesses an artist's qualities, does not adhere to the standard norm, and has her own set of reasoning. Therefore, she often revolves around her own unique way of thinking causing headaches for those around her yet they wouldn't argue against her about it. She is straight forward, a little overcautious and indecisive. In order to look for materials for her project, she would run to the forest and chop off a tree but would forget that there is no way she can carry a big tree home all by herself. Also, in order to prove what she believes in, she would personally go to experience the matter or to participate, regardless of any consequences. As a result, she would always get herself all dirtied. Plus the fact that she is petite and has a habit of carrying a big bag on her back filled with all the things that she would need, she lives like that of Cinderella. You would never associate her with a virtuous and educated young woman. But since she is educated in an upper class society, the moment that she goes into a formal occasion, she would change around immediately and become a noble young lady. She has promised her parents that she will regard Su Shan as her own blood sister and will not tell anyone Su Shan's real identity, causing her to feel inferior. Because she is afraid that Su Shan would not feel any security with her own family background, as a result, Su Fei always gives in to Su Shan. His personality is like a bad tempered celebrity and he hates the media. Even though he is famous around the world and gets endless invitations to perform, but he doesn't like to be well-known and he doesn't like power. Aside from the public performances in Spring and Autumn of every year, he would be roaming about living a calm life and searching for inspirations. Green Light Elementary School in Green Light Forest is the place where he is staying at right now. He is a bit clueless at times and has a unique sense of humor. He is extremely sharp and can easily guess what is on other people's minds. He uses either a humorous or joking attitude when interacting with others. As a result, when he has to face his feelings with sincerity, he would become shy. There are times when he would be very arrogant and think that all women love him, but in the end, he would get rejected. He has two sides to his personality. In front of the media, he would be cold and ruthless but in private, he is very witty and even if he wants to act cold, he wouldn't be able to. His thinking and focal point is different than the average person. His fearless attitude stems from the fact that when he was 7 years old, he received a famous European CBC Art Foundation scholarship that allowed him to go aboard to study. In addition he is well-known throughout the international music industry as the youngest violinist. He and his manager, Fiona, has a three month agreement, which is, he will use these three months to confirm Su Fei's significance to him in his life. If he finds that there isn't any significance or meaning, then he will get married with Fiona. He likes Su Fei, yet always loves to argue with her. Her original name is Luo Shan. Her father was Su Fei's family's driver. When she was 5 years old, her mother ran off with another man and created a wound in Luo Shan's heart. Su Fei's parents sympathizes that Luo Shan is the same age as their daughter and yet is lacking from a mother's care. As a result, they always ask Luo Shan to come over to their house to play after kindergarten school and also got both girls into the Spencer Royal School of Music to study music. Later, Luo Shan's father died from a car accident while protecting Su Fei's father and for this reason, Su Fei's parents adopted Luo Shan. They changed her name to Su Shan and regarded her as Su Fei's younger sister. Su Fei's parents never treated her any different just because she wasn't their real daughter yet Su Shan never trusted their sincerity. She is jealous that Su Fei possesses all the things that she never has. As a result, it fosters her stealing personality. She believes that just as long as it is something that Su Fei has then it must be good and she would have to steal it from Su Fei. She gives the public the wrong impression that Su Fei is the one that is adopted and because Su Fei has made a promise to her father, she never clarified this mistake and let Su Shan say what she wants. However, when the time comes when Su Fei wants to clarify the truth, no one would believe her. The mother that has left Su Shan when she was a child is the only person that will be able to expose her identity but she has now become the past that Su Shan never wants to bring up again. She is very capable and uses people's goodness to get what she wants. She schemes but within her heart, she is actually a little kid that has never grown up. On the surface she tries to look strong, doing all the bad things that she can think of. When she is alone by herself, she would reveal her fragile side. Spencer Art Institutions board member, has an arrogant personality. Makes it his own responsibility to protect the excellent tradition of Spencer Institute. He has his own ideals on teaching. He believes that the best resources should be left to those outstanding students and not let people abuse it. He doesn't get along with William and causes people to feel that he is always against William. He admires Su Shan, understands Su Shan, and even as much as falls in love with Su Shan. In his eyes, the Su Shan that everyone detests is not hateful at all but she is pitiful. He supports Su Shan's thinking of using her hard work to get happiness. As a result, as long as the matter has to do with Su Shan, then he would help her out. Even when Su Shan wants to get her hands on William, he is able to give up his feelings for her and help her get William. Health education teacher of Green Light Elementary School. Is Su Fei's good friend. She has secretly loved Da Jie for a long time. Later, she tried her best to get Su Fei and Ou Wen together. Her English is not too good, but she is also trying to prove that she is good at it and often becomes a laughingstock. She is the origin of all the gossip in the village. She is rash and simple-minded, but is also a good person with a sense of justice. A male nurse at Green Light Elementary School. He has a discrete and cautious personality. Very clean person and talks incessantly, a definite contrast to You Mei. Gets nervous easily, doesn't really know how to get along with little kids. He would often get bullied by the kids and You Mei would have to help him. You Mei admires him, but Da Jie never knew this. Edited by Tiffiany_45, 01 April 2009 - 05:38 PM. when is this coming out?? cant wait.. Esther is much prettier than b4 she loose alot of weight look like..
who's this guy? he's hot, alot younger than leon it seems. looking forward to see Kido and Wei Ru! don't know much about Li Wei Lian and he's a bit too old for Yan Yan... but her character will be 25 years old (according to members in SET Forum) so i guess it will be okay! Edited by smilanny, 20 September 2005 - 05:14 PM. How abt Jia Yu ? I have no idea... guess he's from Lala right ? Jia Feng is the guy from Lala but he won't be in it. well the cast might not be the best (for the moment), but like you said a drama produced by SET can't be bad... let's wait and see! Edited by smilanny, 24 October 2005 - 10:55 AM. i like esther since westside but i don't like much for leon.. 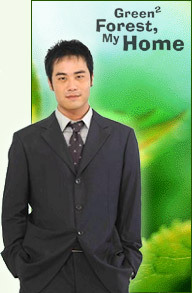 The official website of Green Forest , My Home. thanks newg for the website. the layout is nice... finally a synopsis and information about the characters. yeah Jia Yu is really pretty! Edited by tammiest, 09 August 2007 - 02:35 PM. oh wow! new esther series. hope its gonna be good. she looks really pretty there...hehe^_^ cant wait for this to start showing on tv. esther looks more pretty than mr.fighting...nice!!! leon looks sad in that picture..... but handsome!! Edited by jo lie, 23 September 2005 - 08:15 AM. 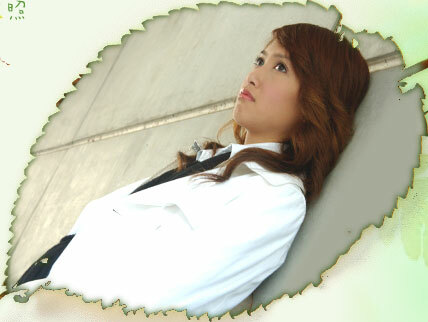 dang... yanyan is soo pretty in here! i'm sooo watching this. i heard that it's gonna show right after wang zi.. but not sure.. i read it sumwhere in the wang zi bian qing wa or esther or leon williams' thread. after looking at those recent pics, i found yanyan not so old like.. 25 nemore. maybe it was the clothes that she was wearing before... in the earlier pics. please do not duplicate the thread =.=;; one would be enough for all discussion..
we currently have no post limit in taiwanese section [as in.. no thread will be deleted even though their posts piled up..
First Leading Man [Leon Jay Williams]: His family are European aristocrats, went back to Taiwan and become director of forest industries of his family. First Leading Lady [Esther Liu]: Actor's childhood friend, because of some reasons they seperates at the Thai Bangkok airport. <<Lu Guang Sen Lin>> describes a "Love and Faith" story, and states "Just believe, and you can see the happiness of green light" faith. In the drama, Leon plays family's music director, grows on an aristocrat, rich & powerful family since childhood, on childhood time, a young girl help him(Yan Yan) never to forget:Ruan jing Tian is a well-known family, has uniquely silent attitude and sensitive, but it frequently changed. Edited by ada895, 28 September 2005 - 06:09 AM. think it might not be very good? This serie looks so cool. Li William looks so handsome. I really want to watch it. Is this serie out yet?? If it's out, do they have it at the download section? Edited by sviak, 08 October 2005 - 11:52 PM. i didn't know ke wei was going to be in it~ i'm actually getting excited for this series~ i hope li weilian's mandarin has improved..
esther is too young for williams. but williams is also not too bad. Edited by `Xue.reN, 12 October 2005 - 11:27 AM. OMG!!! Has anyone checked the official site ? is wei ru even in this series? i heard she was b4.... but i don't see her name under the cast section.. I look forward for this series because I think Esther (Yan Yan) is kind of cute. This will be the first series I want to watch with her in it. The male lead is ok. I think the second male lead is cute. Isn't he in Michael's Dance, the one with Energy and he plays Ghost? Yup, that's Ruan Jing Tian and he was in Michael's Dance before. To smilanny: do u know why they changed the time of this drama (from Sun to Sat) ? I think Sun 9.30-11pm is the primetime in TW n most of idol dramas have been airing on Sunday. Now does it mean even the producer doesn't believe this series will get high ratings or they're afraid of SHE And do u know which series will be aired on Sun instead of GreenForest ? oh mangs~~ so does that mean that series on sunday, usually they have confident that the ratings would be quiet good? at first.... i thought SHE's new series, Reaching for the Stars would be out right away, cause i saw the torrent being released... around 3 gigs if i remembered... but than.. now i kno that it's not like that. i really hope the synopsis comes out soon. i'm looking forward on watching this series. i checked the official website http://www.settv.com.tw/metro/m098/ again, and they say Lu Guang will air on TTV on sundays like WZBQW, and on SET on saturdays. lol can any of you please take a look at the website and tell us if the airing date is right ? thanks. but SET and TTV are linked, right ? have they ever broadcast the same series on their own channel ? because i've never noticed this. i hope the producer is confident of the series and isn't scared of Reaching for the Stars. yeah i'm looking forward on watching this series too! Ooh, thanks smilanny for updating. Well, i've just known SET for nearly 1 year..but as i know, all SET's dramas were aired on Sun since Snow Angel (Jan 2004) n their cooperator at that time was CTS. Then after TGDJY, CTS didn't want to work with SET (i guess they didn't believe in GDTW's success & now they had to regret for missing TFKC n FrogPrince hahaha ), so SET turned to TTV and they're getting along very well. the opening is called "Zui Yong Gan De Xing Fu" and the ending "San Ke Zi". I'm actually really looking forward to the series. After seeing all the commericals and promotion on WQYL, I'm definitely going to give it a go! It looks unbelievably romantic...really different kind of series for Yan Yan. I don't think SETTV has ever had an idol drama like this one. I remember getting really misty-eyed watching the first commerical on WQYL..even Ren Fu said it was really melancholic. I was indifferent about Leon Williams after Le Robe, but after watching him on the 10/18 episode of WQYL (along w/ David Chen and Ruan Jing Tian) I think I'll be looking forward to him in this drama. He's so much more relaxed and carefree now when in variety shows whereas back in the days of Le Robe, he was really quiet and passive. After watching the previews, I really want to watch this sereies also. How many episodes is this? One episode per week is a long wait, but I still look forward for this. Yan Yan looks more mature and pretty. Can't wait to watch her performance. I have not watch any series by any of the cast but I think this is a great series. The OST is out already? really? i never knew that.. or are they just little samples of the songs?... i looked forward in looking at this series right when i heard about it. because.. i have no probs with yanyan and leon's acting.. and plus.. jia yu, ke wei, and kido are also in it i really cn't wait til sunday! i saw the preview and it looks interesting. i tink it's gona be a tearjerking series. i don't really like the main girl much but i'll give it a try. hope it'll be good. The more I see commericals and promotions on WQYL, the more I'm anticipating the drama. I think Yan Yan and Li Wei Lian have great chemistry from what I've seen in the commercials. There's this one scene I recall and Yan Yan and Wei Lian are like crying and watching them just made me so sad. Yan Yan is unbelievable when it comes to crying scenes...I think she's a fabulous actress. Her role in this drama is a 180 from Westside and GDTW. Everything looks so gorgeous!! And I love how romantic everything seems..wouldn't u guys agree this is 2005's most romantic idol drama?